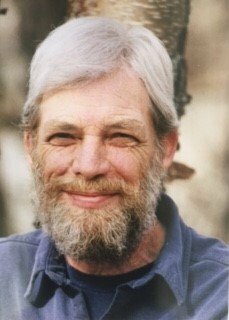 Longtime Homer resident, Scotty (Harry Scott) Bacon, died age 76 on Labor Day, Monday, Sept. 4, 2017 at South Peninsula Hospital in Homer, Alaska. No services will be held as per Scotty's request. Scotty was born January 23, 1941 in Little Rock, Arkansas. He played football at Central and Hall High before graduating from Hall High in the class of 1960. He furthered his education at the University of Arkansas in Little Rock, studying business and engineering. Scotty served in the U.S. Army from 1963 to 1966. He was TT Intercept, Specialist Five (in Intelligence) stationed at Menwith Hill, England. He received the Good Conduct Medal and an Expert Rifle (M-14) commendation. After being discharged, he headed north to Alaska—a place he had always wanted to go. He was waylaid, however, and ended up working as surveyor for 7 years in the Pacific Northwest before moving to Homer in 1975. Between 1975 and 1994 he worked on many major projects in Alaska, including the oil pipeline, the gas pipeline, Terror Lake Hydro Electric and Bradley Lake Dam. He retired from the Teamsters in 1994. Scotty loved woodworking and watching football with his friends. He was known as a hard worker, always generous to a fault and always helping friends, neighbors and strangers while refusing anything in return. He leaves behind many close friends and football buddies and will be sorely missed by all his loved ones. He was preceded in death by his father, George Francis Bacon and Doris Varner Bacon-Yahm. He is survived by his wife, Terri Bramel of Anchorage and Homer; sons, Justin Bacon of Kobe, Japan and Ryan Bacon of Anchorage. Memorial donations in memory of Scotty may be made by paying it forward with random acts of kindness. Arrangements made by Homer Funeral Home and Cremation Services. Please visit or sign his inline guestbook at AlaskanFuneral.com.